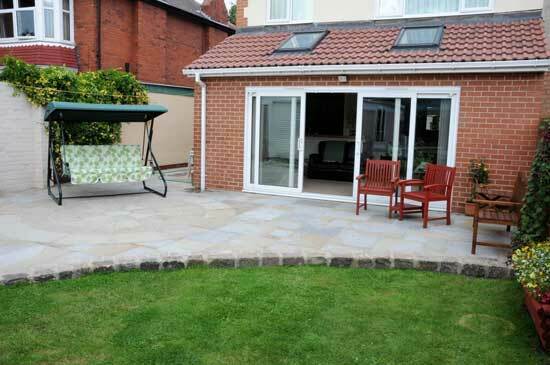 Natural stone patio in Yorkshire Swirl paving edged with reclaimed grit stone setts in Hartlepool. 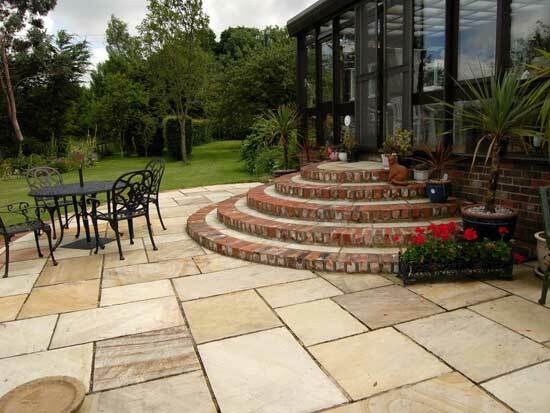 Paved area in Fossil Mint natural stone, edges with reclaimed bricks, incorporating steps to conservatory in Stokesley. 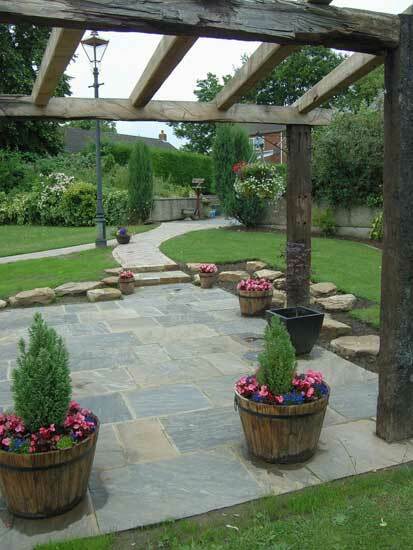 Natural stone paved area in black sandstone incorporating a rustic timber pergola in Stokesley. 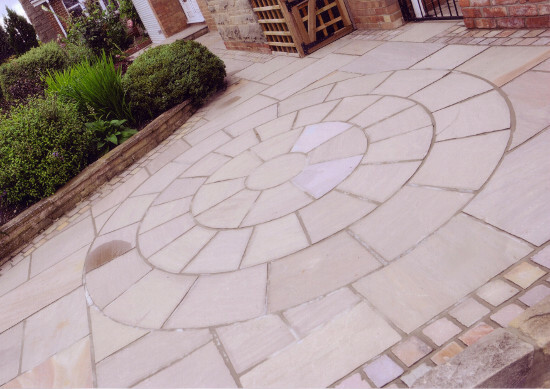 Natural stone paved area in Raj Green paving incorporating a natural stone circular feature edged with natural stone setts Kirklevington.